How did Ryan start working at Buckeye Entertainment? They get us once and have to come back! Ryan’s another one of our past clients who ended up working for us since he had such a great time. His wife (Stephanie Parker, one of our photographers) told him we were looking, but he’d never really considered himself a “DJ” per se. The rest of the description he thought fit him well so he came into the office to chat. Turns out we like people who don’t really consider themselves a DJ since there’s so much more that goes on behind the scenes than music. And he was right, he fit exactly what we were looking for. A person who can listen to a bride and groom, work with them and their other vendors to make their dream day a reality, with a interest in music to top it off. Ok, cool. But who is this guy? 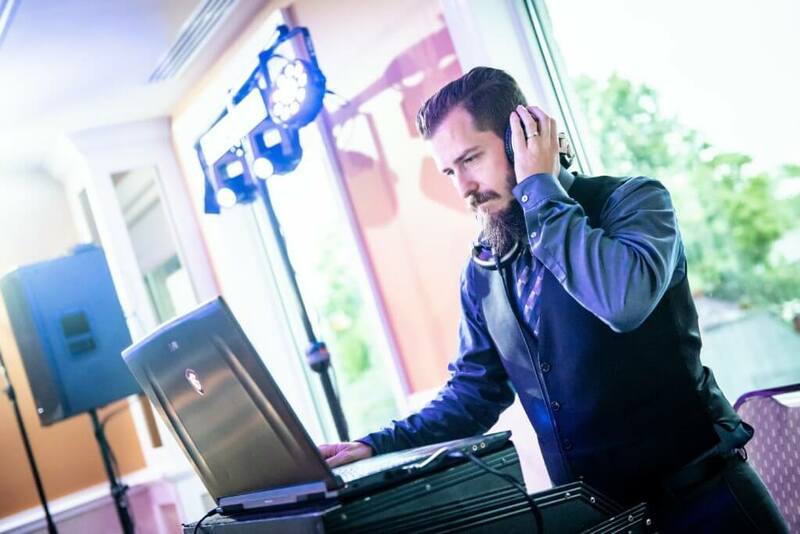 Want Ryan rocking at your wedding? Contact us today! Remember, if you contact us on a weekend (Friday through Sunday) please wait until Monday for a reply–we’re busy making sure our clients’ weddings go perfectly!